"Hard drives aren't dead yet! And they won't die out anytime soon. The latest 2.5" drives for notebooks deliver relatively high performance and ample storage for little money. Five hundred, 640, and now 750 GB. Three quarters of a terabyte are now available at the most important 9.5 mm height on the 2.5" format. This is the form factor that is utilized in more than 95% of all laptop and notebook designs, including most netbooks. 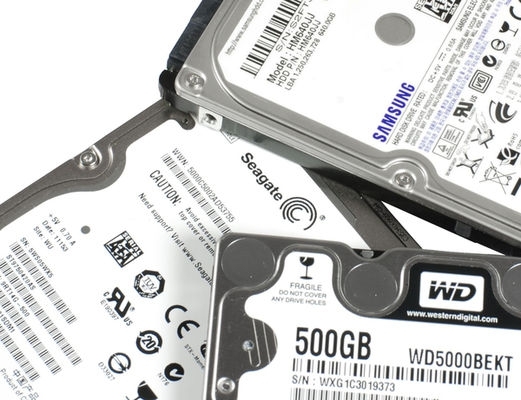 We got the latest 7200 RPM drives from Samsung, Seagate, and Western Digital for a shootout." Laptop drives continue to grow in capacity and speed, especially when there is an increasing demand for laptops to replace desktop PC's. When that that happens performance is often a criteria over battery life and in that case 7200rpm disk drives with bigger capacities might be required. Tom's Hardware reviews three of the latest ones and let's you know their thoughts in their usual comprehensive manner. If you're looking for a laptop and want to know if the drive in it will perform, or you are looking to change your existing laptop drive for a bigger or faster one, then this article may help.